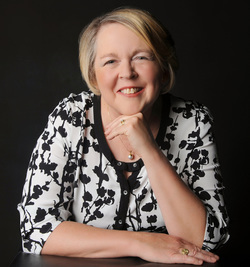 Home > Blog > The joys of Scrivener – Q&A with Alison Stuart. The joys of Scrivener – Q&A with Alison Stuart. Award winning Historical Fiction author Alison Stuart will be holding a workshop on the 19th of November, giving detailed yet accessible instructions on how to navigate the world of Scrivener, the writing program that so many writers and professionals have fallen in love with. How long have you been using Scrivener? I think since about 2011. I was an early adopter… in fact I had to buy a Mac because it wasn’t available for PC (I still hate using the MAC!). I had been playing around with different writing programmes (Rough Draft, Write It Now) and while I can’t recall exactly how I found about Scrivener, it must have been through the great hive of writing minds on social media. Has it made your writing process quicker? Probably not quicker (I’m a slow, easily distracted writer)… just better organized! I still haven’t mastered it! Every new project (and every class I teach), I learn something new about it. The important thing for beginner Scrivener writers to master is the very basics and then you build on your knowledge base. I actually don’t think anyone can completely master everything Scrivener has to offer! What benefits does Scrivener offer for writers? In your own writing, do you prefer to plan or just start writing and see where it leads you? I dislike the term ‘Pantser’… I prefer ‘Organic’ and I am an organic writer. I start with the basic premise, a few characters and take it from there. Which is why Scrivener works so well for me because I can see every scene (colour coded), reorder them without cutting and pasting and feed them into my own template of story beats (which I will talk about at the workshop). What is the best feature of Scrivener for you? I think it is the ability to order the whole project in one space… from characters and research to the overall helicopter view of the WIP itself. Can you describe how your upcoming workshop will be structured? And depending on time… we will also look at some of the ‘bells and whistles and some other online tools for improving your writing productivity. What do you hope writers will be able to achieve by the end of the workshop? Firstly I do not expect the participants to walk out of the workshop as Scrivener experts. The aim of the day is to give them an understanding of the major features of the interface and the confidence to start uploading their own projects and begin building on their own Scrivener knowledge. That is the wonderful thing about Scrivener there is no right or wrong way to use it… it is entirely up to the individual how they customize it to their own working systems. Looking forward to meeting the workshop partipants on the 19th!